O’Neil Fine Builders is the North Shore’s premier design-build home addition builder servicing Wenham MA and surrounding areas. With our 20+ years of building experience, your new living space will look, feel and be uniquely yours. Call us today to get your free estimate. Have another home addition project in mind? Click here to talk to one of our Wenham MA home addition builders. Describe your addition idea to us today, and enjoy your new living space tomorrow. Jim O’Neil founded O’Neil Fine Builders with a vision of a better remodeling company. Twenty years later, and that company enjoys a top spot among the North Shore’s remodelers. We guarantee 100% satisfaction. 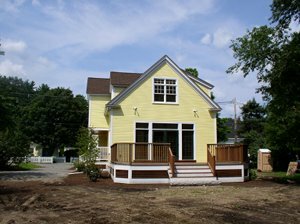 Call 978-927-7711 or fill out our contact form to get in touch with a home addition builder in Wenham MA today.